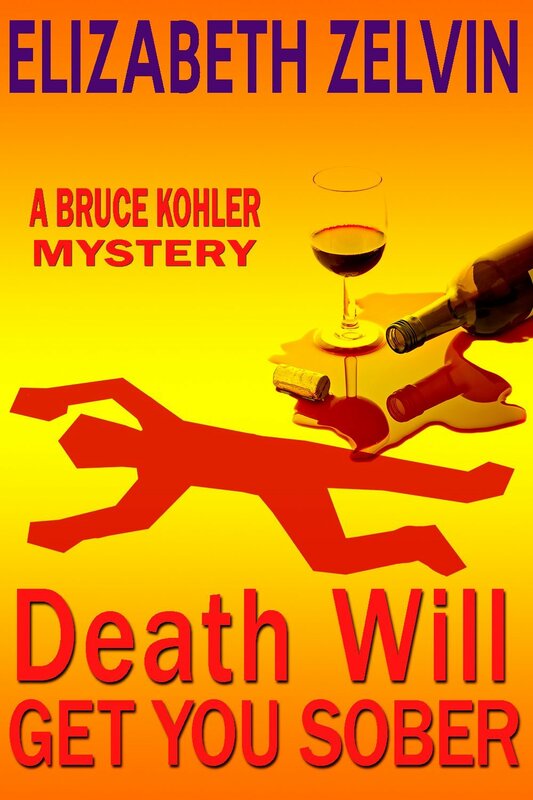 Elizabeth Zelvin is a New York City psychotherapist whose mysteries are Death Will Get You Sober, Death Will Help You Leave Him, and Death Will Extend Your Vacation, featuring recovering alcoholic Bruce Kohler. All are available in hardcover, e-book, and audio editions. 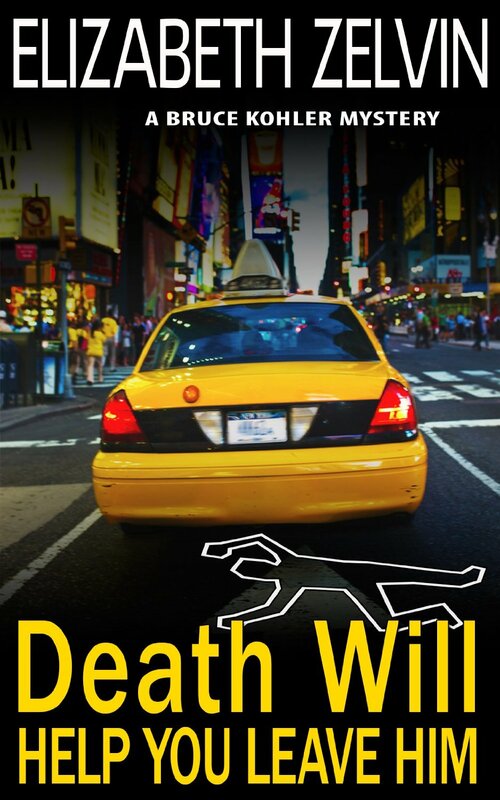 Liz is a three-time Agatha Award nominee and a Derringer Award nominee for Best Short Story. 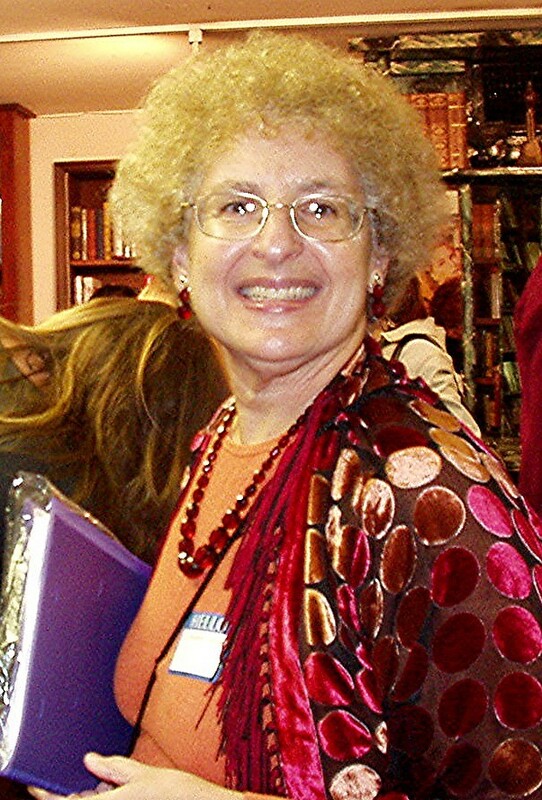 Her stories have appeared in Ellery Queen’s Mystery Magazine and various anthologies and e-zines. Liz also has a CD of original songs, Outrageous Older Woman. After returning to school for a master’s degree in social work, Liz directed alcoholism treatment programs, maintained a private practice as a psychotherapist, and wrote and lectured widely on addictions, codependency, dysfunctional families, and relationships. In 2001, she launched her online therapy website at LZcybershrink.com. She works with clients all over the world via chat and email and trains therapists in online clinical skills. Liz blogs on Poe’s Deadly Daughters and SleuthSayers and can be found on Goodreads. Her music website is at lizzelvin.com. 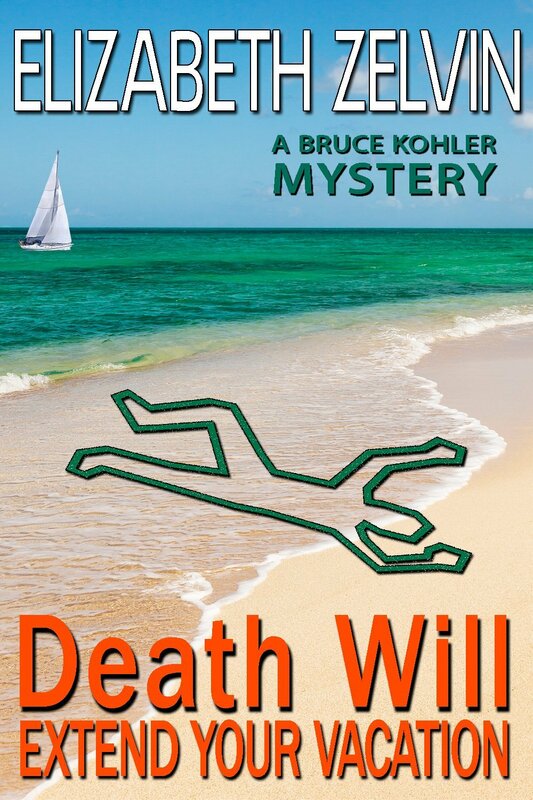 She has served on the boards of the New York chapters of Mystery Writers of America and Sisters in Crime and remains active in both as well as Sisters in Crime’s Guppies chapter. My mother would be celebrating her 111th birthday today if she hadn’t died at the age of 96 almost fifteen years ago. Longevity runs in my family. My aunt Hilda, my mother’s sister, is 102 and still playing tennis. Their first cousin, my Viennese cousin Lisa, escaped the Holocaust on the proverbial last boat out at age 18, sang in the Miami Opera, raised three kids, got a doctorate in her sixties (as did my mother, who started out as a lawyer in 1921) and died only a few weeks ago at the age of 93. During her last couple of weeks in home hospice, she was still going in the swimming pool and emailing her many friends. These ladies are tough acts to follow. They set such high standards that I wouldn’t dare stop learning new skills, exercising both my body and my creativity, and reinventing myself when circumstances call for it at my current tender age of 69. I might have another thirty years to play with, and I’d better make them both productive and fun. Thinking about the durability of these formidable women in my family leads me to thinking about the durability of great books. What I call great books are not necessarily the classics, but reads that continue to delight long after their authors’ deaths. In my opinion, Mark Twain’s Huckleberry Finn and Louisa May Alcott’s Little Women share the title of Great American Novel. Plenty of people still read Jane Austen’s books for pleasure, though I sometimes wonder if Austen has as many readers today as her literary descendant Georgette Heyer. Then there are beloved mysteries. Agatha Christie still sells well all over the world. Dorothy L. Sayers and Josephine Tey still have the power to make readers fall in love with their characters. On the dark side of the crime fiction aisle, I know plenty of readers who still swear by Raymond Chandler, Ellery Queen, and Rex Stout’s Nero Wolfe books. And Sherlock Holmes is not only alive and well but has a longstanding reputation for being real rather than fictional. So here’s what I wonder: Will the books being published now prove to be as durable as the works of the nineteenth and twentieth centuries that formed a widespread common culture? References to Lewis Carroll’s Alice in Wonderland, for example, abound in the literature of the English-speaking world. I just read an American mystery published in 2013 in which a character said, “‘Curiouser and curiouser.’“ But how many readers under forty would get the reference? And are the quotations we all know coming from books any more, or only from movies (or at best, from the movie versions of books) and TV? Will the novels we’re reading now still be around in a hundred years or even fifty? I’d bet on JK Rowling’s Harry Potter books to survive, but I have trouble thinking of any other books or authors I’d have the confidence to put my money on. And here’s my other question: As the whole world goes “e,” even if some of today’s fiction remains relevant and appealing to future generations of readers, will it be accessible to them? I know, I know—electronic publishing allows authors’ backlists to become available again and more new work to be in e-print indefinitely. But that’s in the short term. Remember floppy disks? Remember 33 LPs? The tech revolution of the past two or three decades has amply demonstrated that storage methods change even faster than communication, and last year’s backup is next year’s useless junk. Would you bet money that you’ll still be able to read the stuff you downloaded to your Kindle in 2013 in 2063, if you live that long? I wouldn’t. A good question, Liz. I’ve noticed that whenever I talk about old books (especially children’s books) on my blog there are many comments and fond memories of this or that book. But today’s crop — I wonder. I suspect that all the folks who grew up reading Harry Potter will still be fans as they age. But what adult fiction will endure? So many bestsellers are fun reads but, in the final analysis, junk food for the mind. I’ll be interested to see what others might nominate as enduring fiction. Thanks for stopping by, Vicki. Yep, for me too, Harry Potter was the only one that sprang to mind. Good question, Liz. Henning Mankell is up there; he’s part of the 20th Century and 21st Century. Since my specialty before mysteries was the literature of the American West, I can think of two authors who might still be read a hundred years from now: Benjamin Capps and Elmer Kelton. I won’t comment on today’s mysteries except to say I don’t think many will survive. Mark Twain himself will still be around. Interesting, Judy. I confess I’ve never heard of either, which raises the question: can works whose authors are not household words during their lifetime possibly survive at all, no less a century, past their deaths? Lelia, I too thought Code Name Verity was excellent–and isn’t it interesting how durable good YA books seem compared to today’s adult books–but I don’t think it’s about excellence. The amount of marketing energy, money, and personpower it takes to make and keep book well known is so great today that nobody’s going to bother with an author for long after he or she is gone. New books and authors are too abundant and books themselves too disposable nowadays.